Over the past few months, EMMO has been busy with several first-ever activities connected to transcribing manuscripts at the Folger. In August, we transcribed excerpts from over twenty four manuscripts currently exhibited in the Age of Lawyers Exhibition (running until January 3rd 2016). These documents cover such fascinating topics as Customs of copyholders, Treatises on English law, By-laws of Warwick, a List of Jurors, and a List of Charges in legal Latin! These transcriptions and other information about the Exhibit can be found here. This is the first time the Folger has provided full transcriptions for an exhibition, and EMMO thoroughly enjoyed the cross-collaboration with Central Library, Conservation, and Exhibitions. EMMO wrapped up Series II of Practical Paleography in September. During this series, we branched out into transcribing Latin found in the Folger’s manuscript collection. An Ovid quotation warning about the dangers of pursuing power and glory proved popular with participants in one session (perhaps because we are situated so close to the corridors of power here in DC!) and can be found on page 34 of Henry Oxinden’s Miscellany. The quote is taken from Tristia Book 3, which Ovid wrote in exile after his banishment by Emperor Augustus. Saeuum praelustri fulmen ab arce venit. it’s a cruel lightning bolt that comes from the shining citadel. Other selections for our intrepid paleographers included snippets from Ovid’s Metamorphoses, Virgil’s Aeneid and Horace’s Odes as well as some original Latin…and we learned that some early modern writers had a better grasp of their declension endings than others! Look for a Collation post on the delights of this Latin treasure trove sometime in the coming months. In addition to these adventures in Latin, we also transcribed and tagged writings from The Diaries of Richard Stonley, The Book of Magic, Topical Descriptions, Regiments and Policies by Edmund Tilney and The Commonplace book of Matthew Day. Series III of Practical Paleography will start on October 20th, and we will be encouraging more transcribers to participate virtually. Several special events have also opened up new explorations into Folger manuscripts. In September, two staff members from Zooniverse, Victoria Van Hyning and Simone Duca, flew across the Atlantic to the Folger Shakespeare Library to help us conduct an alpha test of Shakespeare’s World, a crowd-sourcing website EMMO is developing with Zooniverse to reach out to “citizen humanists” around the globe. Our aim is to enlist online help from the crowd in transcribing thousands of digitized manuscript pages in the Folger’s collection. While the alpha test is only a first step, it is a critical one in the process. A range of paleographers—many of whom are regulars at our Practical Paleography series—tried this new approach to transcribing on September 22nd and gave feedback about the experience. 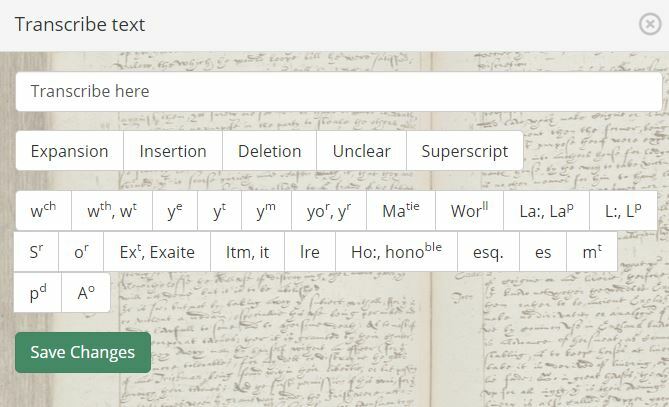 In Shakespeare’s World, a user will mark and transcribe a line (or less) at a time from a manuscript image and have access to a host of shortcut keys to simplify the process of transcribing. 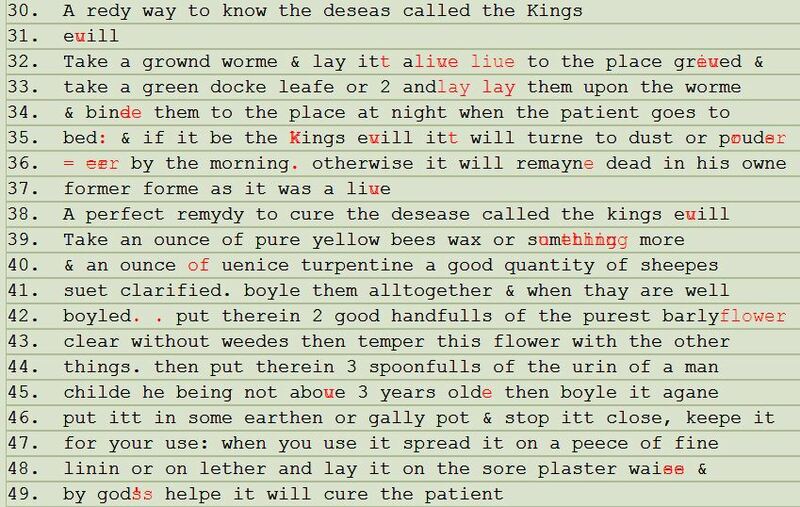 A screen shot from the initial conception of the transcription software for Shakespeare’s World. Also, any graphics on the page can be identified by users drawing boxes around such features and categorizing them according to a list of choices, e.g., manicule or decorated letter (the X and Y coordinates on the image are also recorded automatically). 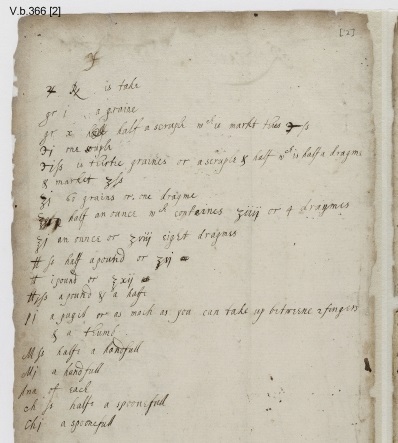 Several suggestions from testers were gathered, such as making the zoom feature easier to use and including access to a sample early modern alphabet; these have been duly noted for the beta test, which is scheduled for November of this year. Some of the many exciting features also planned for Shakespeare’s World include a tie-in with the O.E.D. in which new variants of words found in manuscripts can be checked for possible inclusion in the well-known definitive record of the English language. 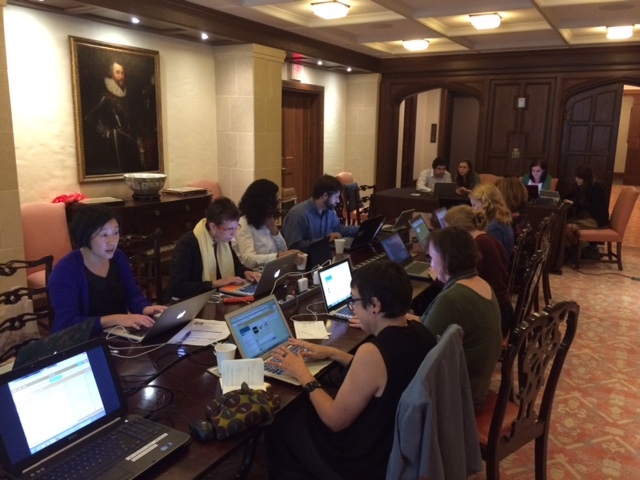 During the first week of October, the Early Modern Recipes Online Collective (EMROC) held a three-day meeting here at the Folger to discuss (among other things) ways to work with EMMO on transcribing receipt books from the early modern period. As part of the EMROC visit, EMMO co-sponsored a special transcribathon that included not only 30+ in-person participants at the Folger in DC but also 50+ more transcribers who joined the event virtually from various locations including Germany, the United Kingdom, Ireland, Canada, Australia, Colorado, Texas, California, and Washington State. All of the participants used our online transcription tool, Dromio, to transcribe and encode pages of a recently acquired manuscript: the receipt book of Rebecca Winche (Folger MS V.b.366). Recipes in the receipt book range from remedies for coughs to a nutmeg and raisin cheesecake to snail water. Because everyone ought to know how to make Snail Water. One of the fascinating pages was a legend of sorts that defines symbols used throughout the manuscript. Having a key to the symbols is always useful. How long the transcribathon lasted is an interesting question since it employed a rolling model through multiple time zones, starting in Europe then moving to the East Coast of the U.S. and then across the country to the West Coast. This approach was another first for the EMMO project! Each location transcribed for about three hours, but collectively, at least twelve hours were spent on the project. By the end, all 208 pages of the manuscript were transcribed and encoded. And, really, the number of pages transcribed for the event is much higher, more like 600 pages, since each page was transcribed by at least three independent participants. The Dromio program then compares the multiple versions of a page’s transcription to help arrive at an approved version (disagreements show in red). Each page will then be vetted by an expert paleographer. A screen shot from Dromio showing the comparing feature in a recipe for identifying the King’s evil. Some great EMMO interns have helped us with many of these efforts over the summer. We’d like to thank Nicole Flibbert, Rebecca Johnson, and Emily Dockery for all their contributions. Together, they added a substantial number of tagged transcriptions to the EMMO corpus (letters from the Bagot Family Papers proved particularly popular!). Another summer intern, Jenny Li, worked with the EMMO team on ways to generate standardized versions of the early modern transcriptions which can be employed for easier searchability (so users looking for the word “persuade” will also be able to find “persvade” and “perswayde” in the results). Jenny investigated programs such as VARD and Morphadorner so we could make progress in this important area. 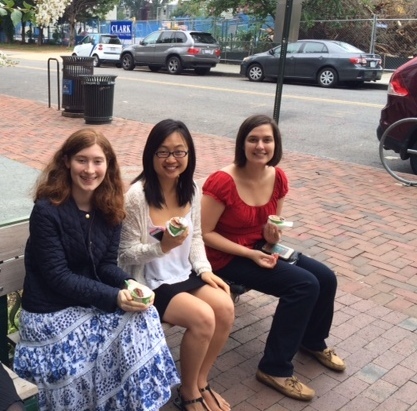 Summer Interns: Nicole Flibbert, Jenny Li and Emily Dockery. In addition we’d also like to thank our EMMO volunteer Elizabeth Tobey for all her ongoing hard work, including her current undertaking of helping to create a new paleography guide with examples of letters in English secretary hand. A Minuscules alphabet is completed, Majuscules here we come! Two more EMMO transcribathons are scheduled to take place within the next few weeks: one at the University of Michigan in Ann Arbor, MI and another at Virginia Commonwealth University in Richmond, VA.
Paul Dingman is the Project Manager for Early Modern Manuscripts Online (EMMO) at the Folger Shakespeare Library. He earned a PhD in History with a concentration in medieval/early modern Europe and is especially interested in cultural history and the digital humanities. Paul also worked in the field of information technology for years before pursuing his doctorate. I can only say I am looking forward to participating if I can. I have transcribed thousands of pre-1700 documents but many of the Folger ones present real issues. EMMO has had a busy fall! Great work Paul & Sarah – the project is clearly picking up a lot of steam. What is the target release date for the Shakespeare’s World tool? 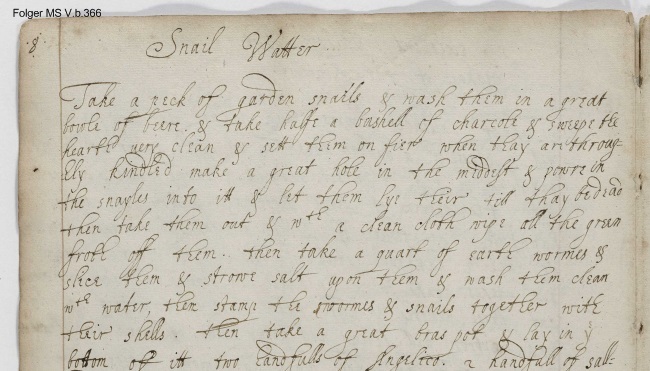 I just clicked on the Snail Water link in the October 13 posting… and found that the following recipe also caught my attention – a drink to make when first exposed to the plague. Puts my little life problems in perspective! I would like to participate, as well! I have a special interest in Shakespeare, and would be very glad to learn the necessary paleographic skills. Great to hear you would like to participate! Shakespeare’s World has recently launched, so that’s probably the best place to start with some online transcribing. Here’s the website: http://www.shakespearesworld.org/#/ Welcome to the early modern paleography community!